My man and I spent a wonderful afternoon with his Brother and niece. We went to one of our favorite places, Goats on the Roof and did a bit of walking around and bought 2 heads of cauliflower for $1.99 each, which for our neck of the woods is a fantastic price. I blanched them and put them in the freezer. I got enough for 6 meals for My Man and I. Bring a pot of water to a boil. I just use my Dutch oven now that I only have to blanch enough for 2 people instead of 10. My blanching pot finally wore out and is now a planter in my backyard. 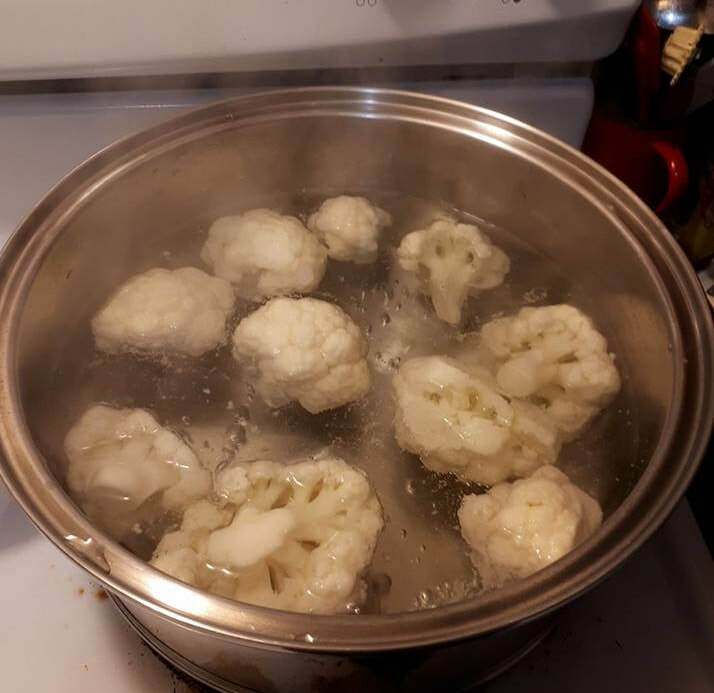 ​​I just pop enough cauliflower into the boiling water that will fit into a large bowl of cold water. When the water returns to a boil, I set the timer for about 3 minutes. 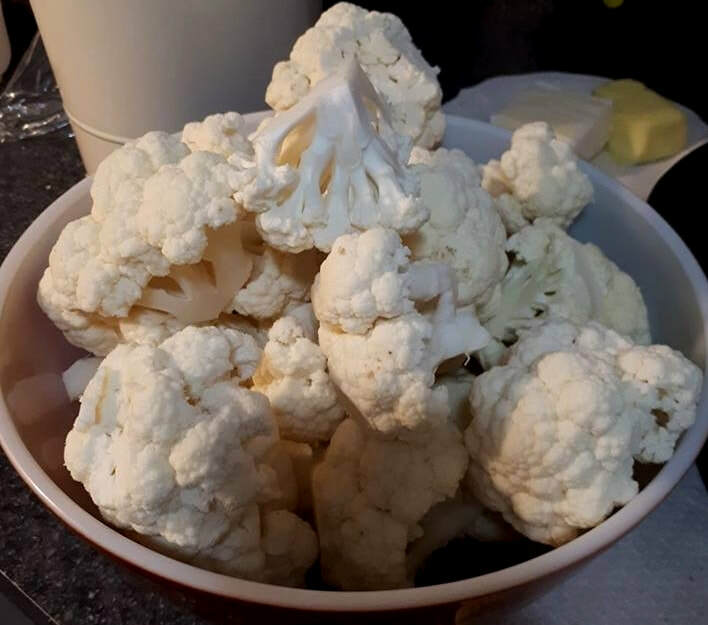 I just pop enough cauliflower into the boiling water that will fit into a large bowl of cold water. When the water returns to a boil, I set the timer for about 3 minutes. Then I transfer it into my large bowl and fill with cold water. I change the water 3 to 4 times as it warms up. This is to stop the cauliflower cooking anymore. Then I divided the blanched cauliflower into freezer bags and, using a straw, I sucked as much air out of the bags as possible before closing them. Don't forget to label the bags with name of product and the date! ​I got enough for 6 meals for the 2 of us. That's a far cry from needing 2 heads for each meal! !